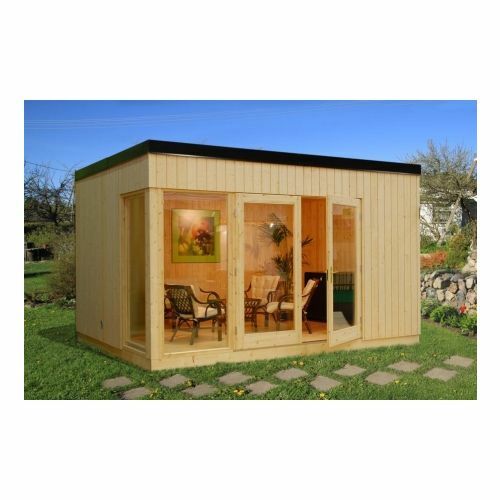 The Utah 2 Canopy cabin is a fantastic single tongue and grooved building made from panels. This pent roof building has misted glazing and low door sill covered with stainless steel. With an internal floor space of 6m2, this building would make for a great summerhouse or summertime reading room. 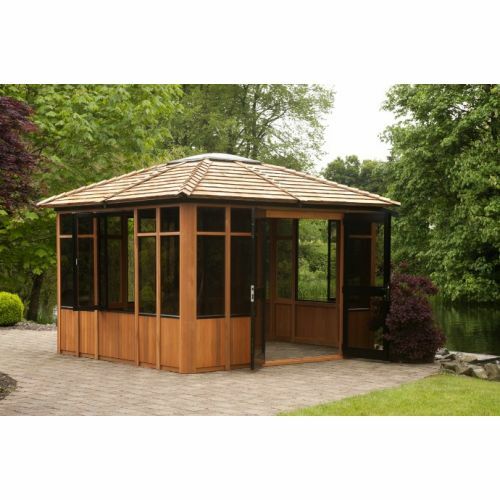 This model also has a side canopy that allows this building to be used as an outdoor/indoor dining area or hot tub shelter with a changing room. 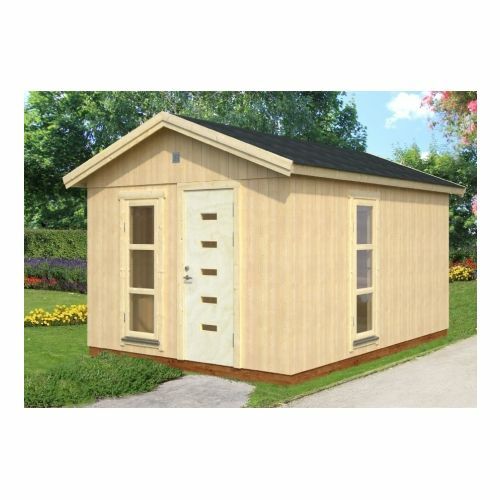 The latest in garden cabin design, the Espoo has a Scandinavian feel. Original in design with precast walls with special plastic film for protection against the wind. 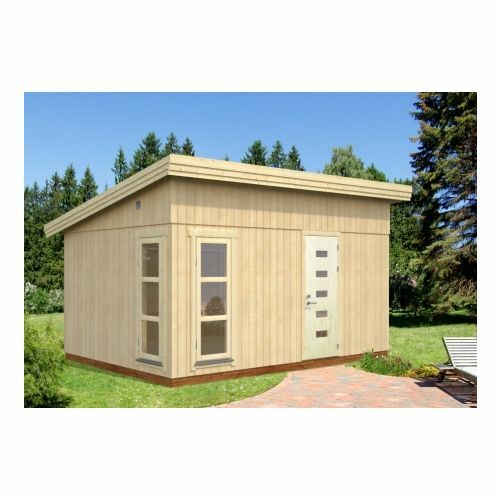 The Espoo is a beautiful panel cabin from Valkea. 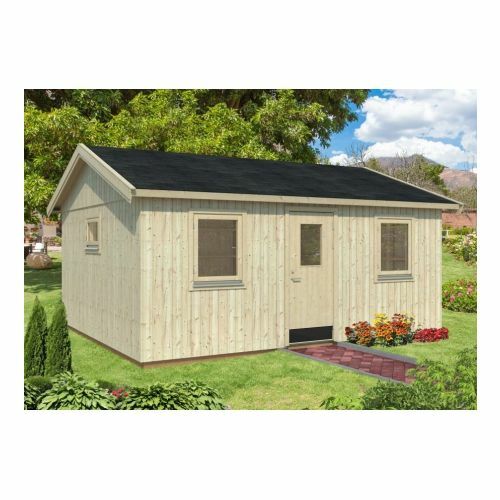 This building is perfect to use as a home office and brings the log cabin design up to date with a more contemporary design. 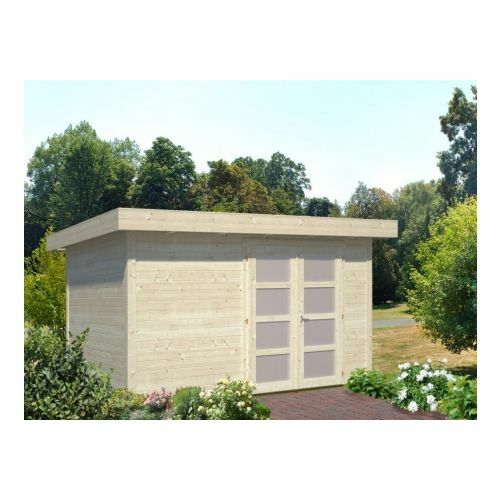 The Tallin self-build timber office brings some Scandinavian style to your garden - indeed, it looks like a smaller version of an attractive northern European house. 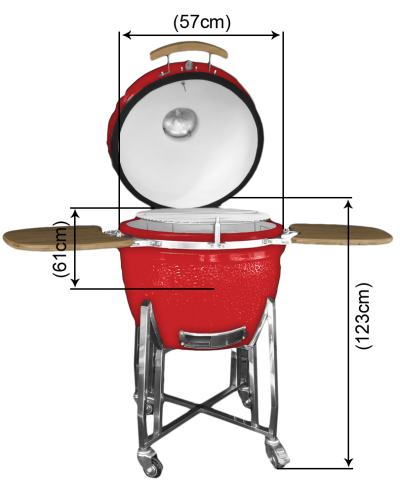 It also offers all the attention to detail and high quality with which good Scandinavian design is associated. 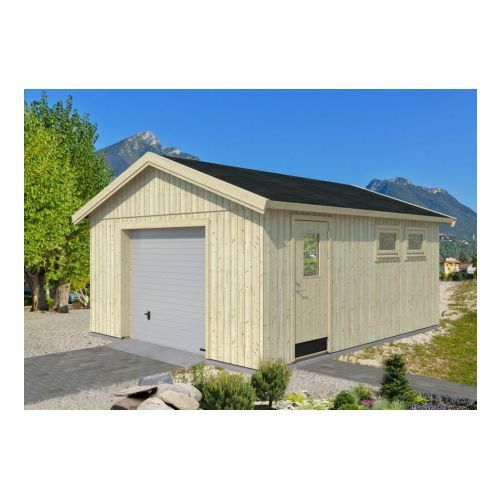 New for 2018, this chic and modern Nordic style building breaks the mould of the traditional looking log cabins. There are several remarkable things about the Turku Nordic cabin. For a start, there is the ease of construction: Turku’s pre-fabricated Quick Fit wall elements permit assembly in a few hours only, but we can quote for on-site construction if needed. 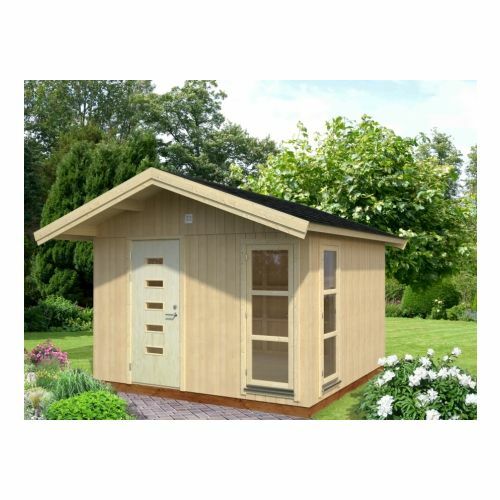 If the rustic, wooden look is not for you, then the self-build Oulu contemporary garden room offers a superb, modern alternative. 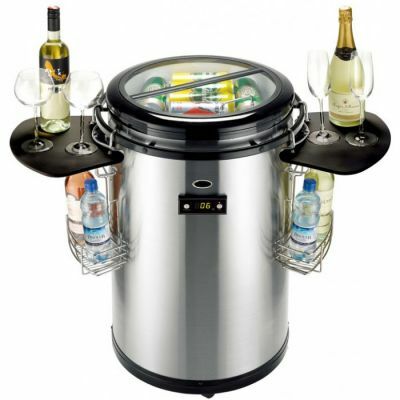 It's Scandinavian design without the forests and fairy tales element. 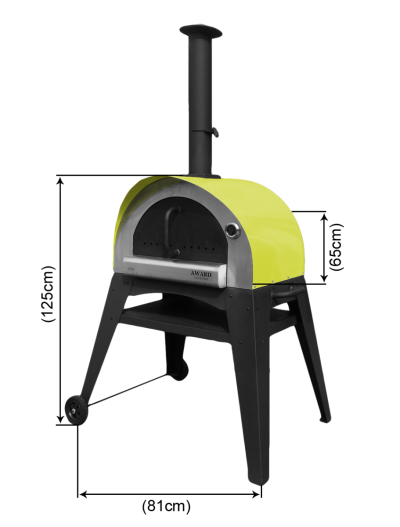 You could use it as anything from a studio to a workshop to an extra living space. 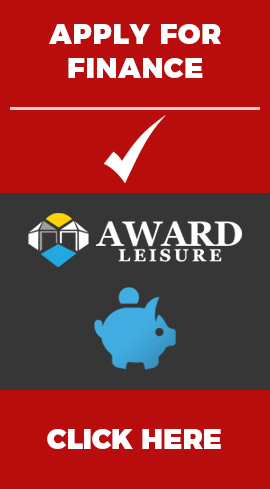 With more and more people working from home and setting up small businesses, Award Leisure have become a specialist supplier of home office buildings. 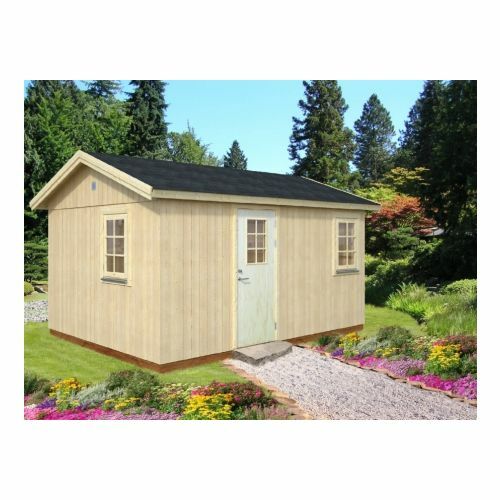 This modern looking building looks great and offers brilliant functionality - a perfect option for a home office. 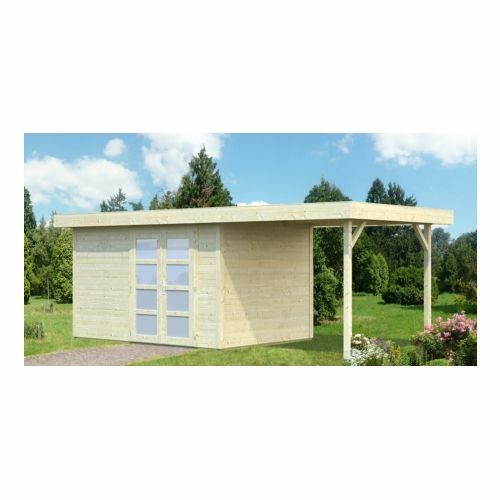 The Copenhagen cabin is constructed from 160mm thick walls which includes the cavity in between battens which you can insulate between to allow you to use this building all year round. The building can be customised by adding additional doors, windows, guttering and more to personalise this building for you and your requirements. We can offer SBS roofing on this product which is a sheet style roofing which is a higher quality roof covering in comparison to felt.